As much as I love all my glitter/sparkly polishes, I have a real soft spot for cremes. 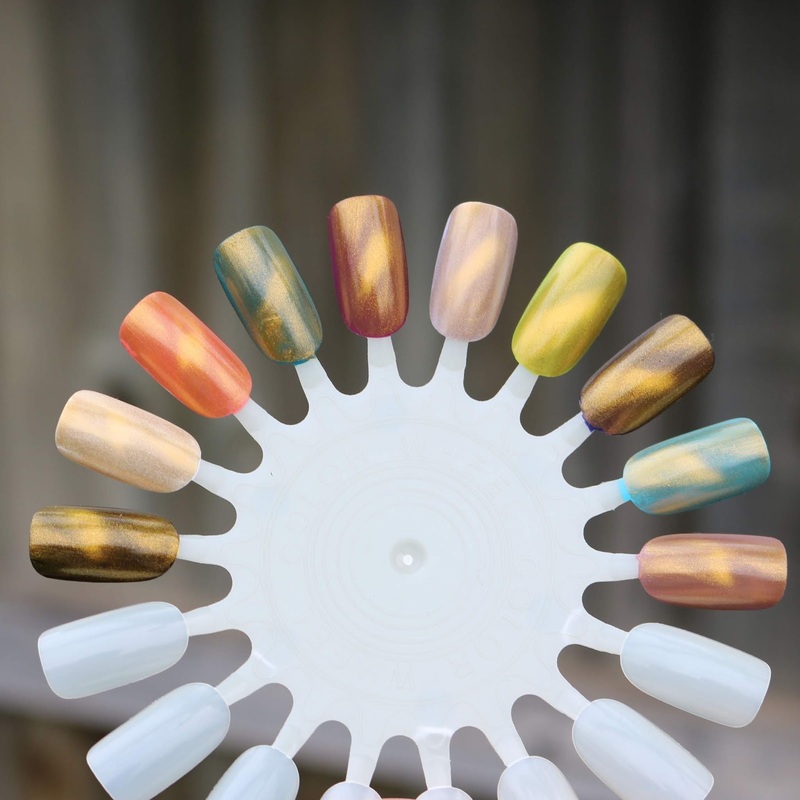 I know most people think they are "boring" but there are so many awesome colours out there, they are so easy to remove and there are endless possibilities when it comes to nail art. Why am I talking so much about creme polishes? Because Emily de Molly's September Release is FULL of creme polishes, as well as a few other polishes. Some of these polishes are limited edition, but I will make sure that I make it really clear throughout the post which ones are limited edition. Right, now without further ado, let's get into the pretties! Bright Retreat is a white creme. I love this one! This is so close to being a one coater. I would happily do one coat if I was going nail art over the top (like a gradient etc), but to wear on it's own I personally need two coats. 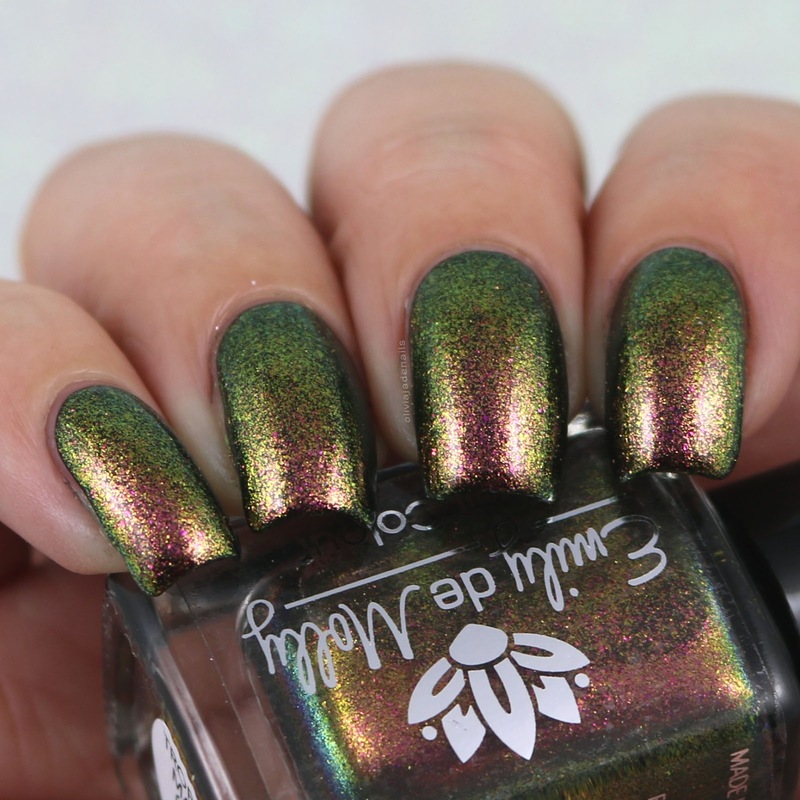 Colour Therapy is an iridescent flakie topper. 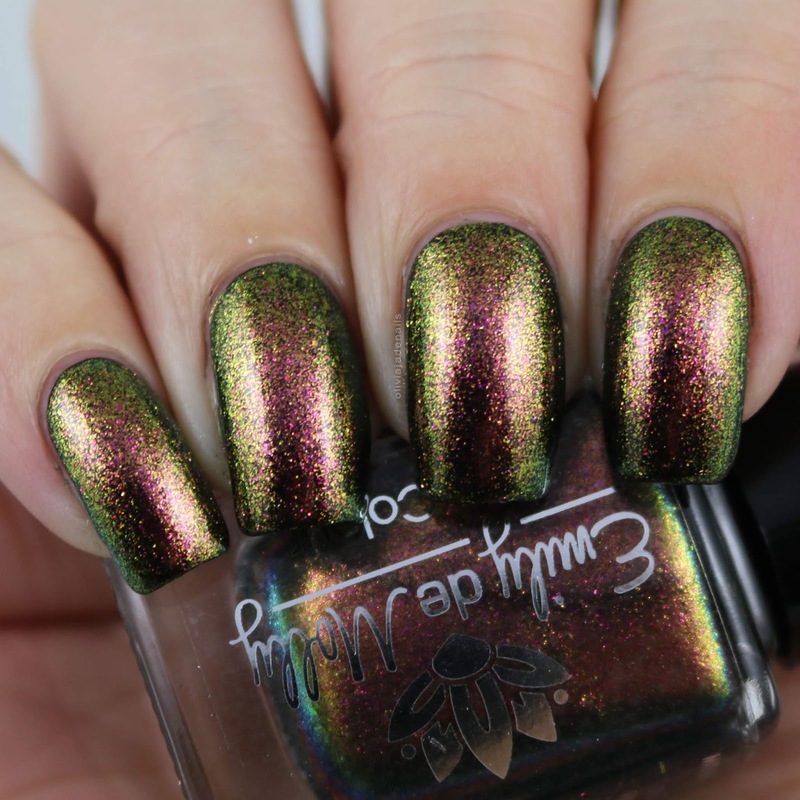 Now you all know how I feel about flakies and this topper is no exception. I love it! For each of my swatches I used one coat. Desert Blooms is a bright peach creme. This polish is limited to one medium batch. It is such a gorgeous colour! And the formula is amazing. My swatch shows one coat. That's right, ONE coat. Dramatic Flair is described as a plum red creme. Again, this polish is limited to one medium batch. I love this one as well. The colour is gorgeous and the formula is perfect. I used one coat for my swatch. Fade Into Black is a black creme. It's one coat perfection. I'm really not sure what else I can say about this one. Glided Beauty is a gold magnetic topper. Now I am not really a fan of gold polishes in general so this one isn't really a favourite of mine. The formula is great and easy to use. My first swatch shows one coat over Microstructure (and two coats with the magnetic effect applied). The second swatch on my nails is one coat over The Clades. Since doing the swatch on my nails I also tested this topper out over all of the creme polishes and I have to say it is pretty cool. All of the swatches on the swatch wheel show one coat with the magnetic effect applied. Gorgeous Garden is a medium teal green creme. This polish is limited to one medium batch. Like with most teals this one doesn't photograph accurately. The colour is beautiful and the formula is amazing. It's one coat and it doesn't stain! I did wear it as a full mani for 24 hours just to test it out. You are welcome! High Frequencies is a bright chartreuse green creme. This is limited to one medium batch. This isn't really my sort of colour (especially to wear as a full mani) however I think it is great for nail art. I used one coat for my swatch, however I do question if I should have done a second coat or not. Light Weight is a rose taupe creme. This polish is limited to one medium batch. I think this is such a great colour and I think it would look really good mattified. I'm not sure why I think that but I do. The formula is awesome and is opaque in one coat. Microstructure is a pale greyed lavender creme. 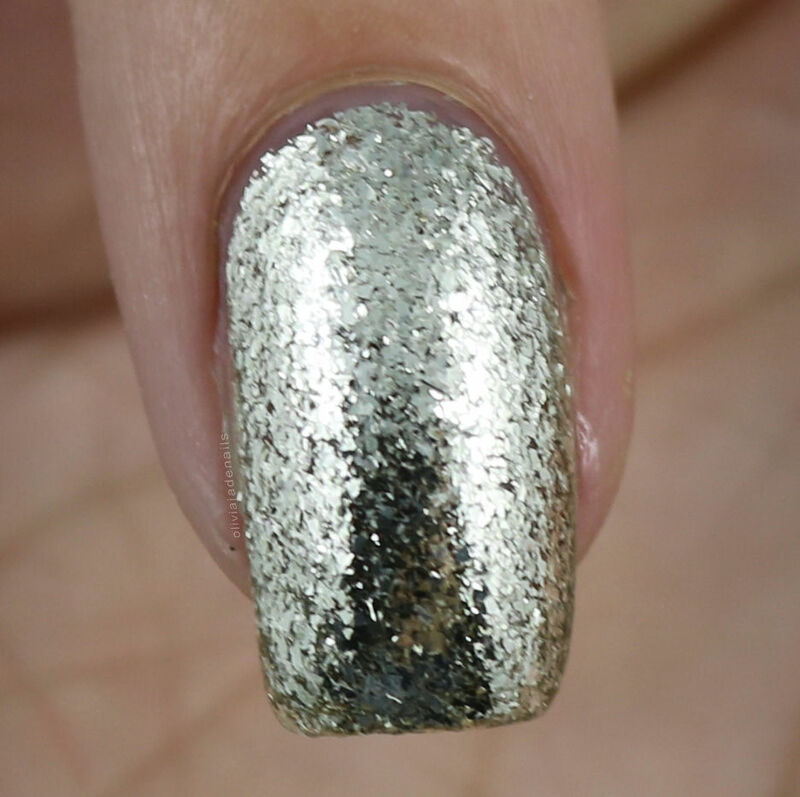 This polish is limited to one medium batch. Such a great colour and the formula is fantastic. My swatch shows one coat, however I do question if I need a second coat. I'm not sure if it's because it is such a light colour and my brain automatically thinks you need two to three coats. 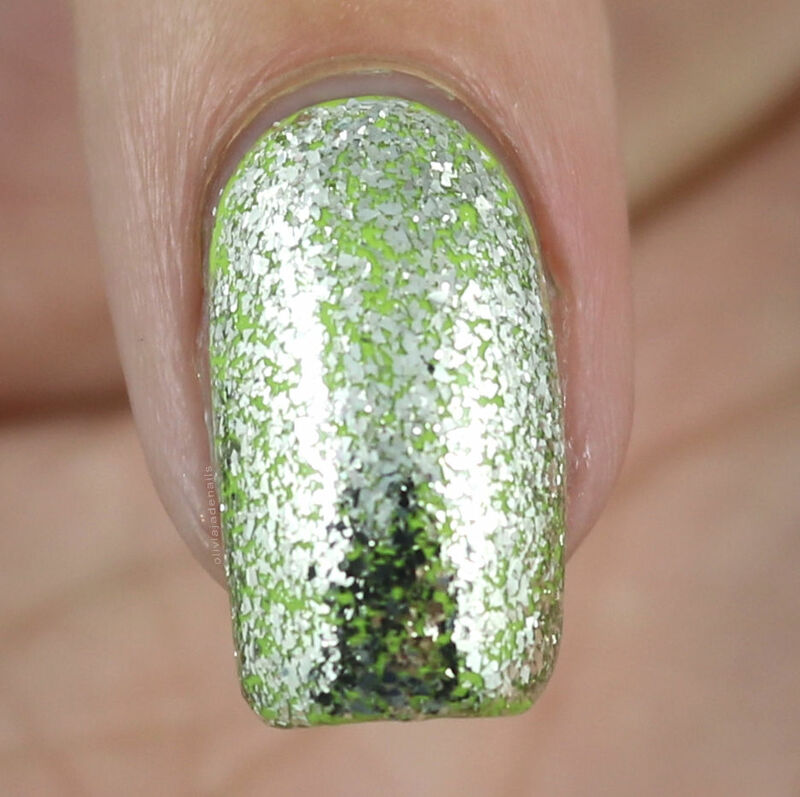 Out Of Sight is a chrome silver flakies. This can be worn as a topper or on it's own. 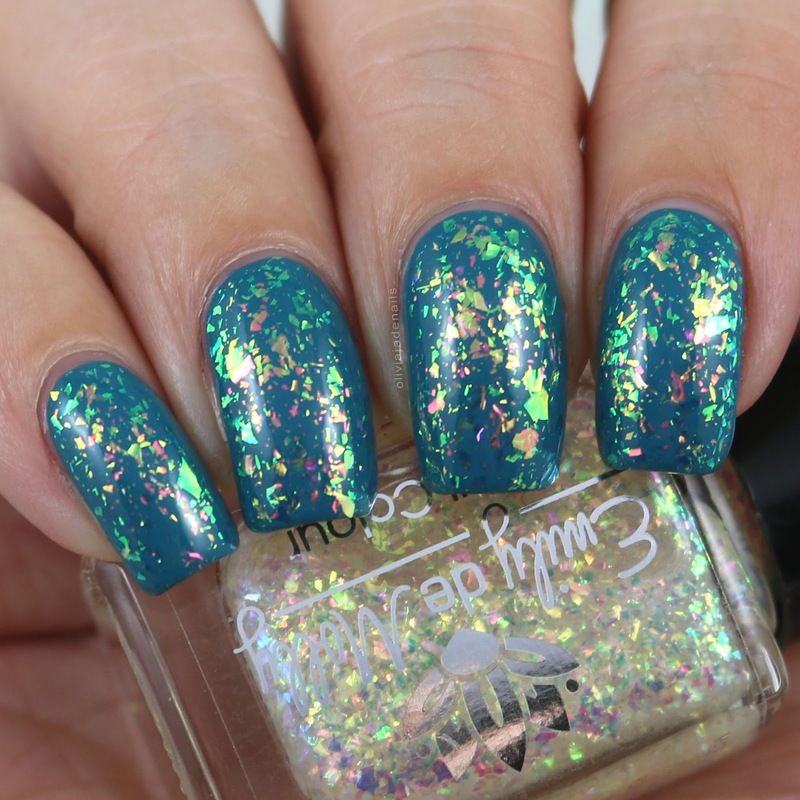 When I swatched this as a topper (I used it over High Frequencies) I wasn't a fan of it as a topper. However, when I swatched it over each of the cremes on the swatch really I actually really like it. As a polish on it's own though I love! It's so sparkly! My swatch shows one coat over a base colour and two coats on it's own. The Clades is a dark purple creme. This polish is limited to one medium batch. To me, this looks more blurple than a straight up blurple but whatever you want to call it, its a great colour! The formula is amazing and it is opaque in one coat. 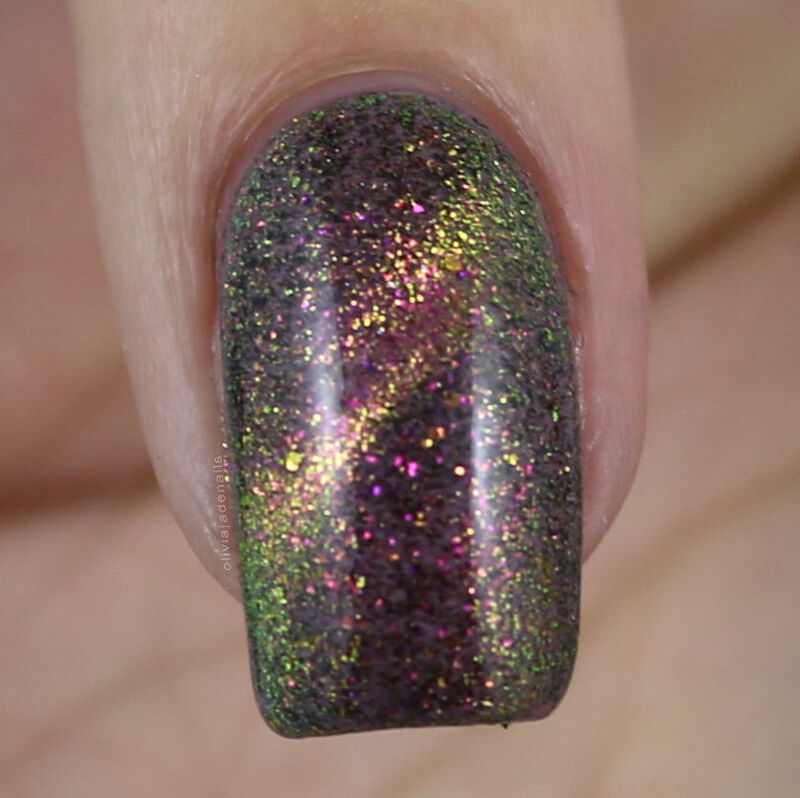 Tropical Magic is a pink/gold/green magnetic micro flake topper. I love, love, love this topper! The colours and shifts are so gorgeous. Hayley made a note that this topper looks best over darker polishes, but I have to say I am a really huge fan of it over Microstructure. For my swatches I used one coat over black (without the magnetic effect), two coats over black (with the magnetic effect) and one coat over Microstructure. What A Day is a bright blue creme. This polish is limited to one medium batch. I love this colour! It's so beautiful. Again, this polish is a one coater! I love this release of polishes! I am beyond excited that that the black and white polishes aren't limited edition becuase you can guarantee that I will be buying multiples of each. I think that all of the cremes are fantastic and definitely worth grabbing! I know I have reached for these a few times when I need a quick colour. I also love the toppers. Yes Glided Beauties isn't my sort of colour but I think it is fantastic for those of you who love gold. The September releases will be available on Thursday 13th September at 10am AEST from Emily de Molly's Australian site and on Wednesday 12th September at 8pm EDT on the international site. Don't forget that a lot of these polishes are limited edition so I recommend grabbing them before they sell out!